Striker - "Stand In The Fire"
Having made the decision to go DIY and record the album completely at home (!) 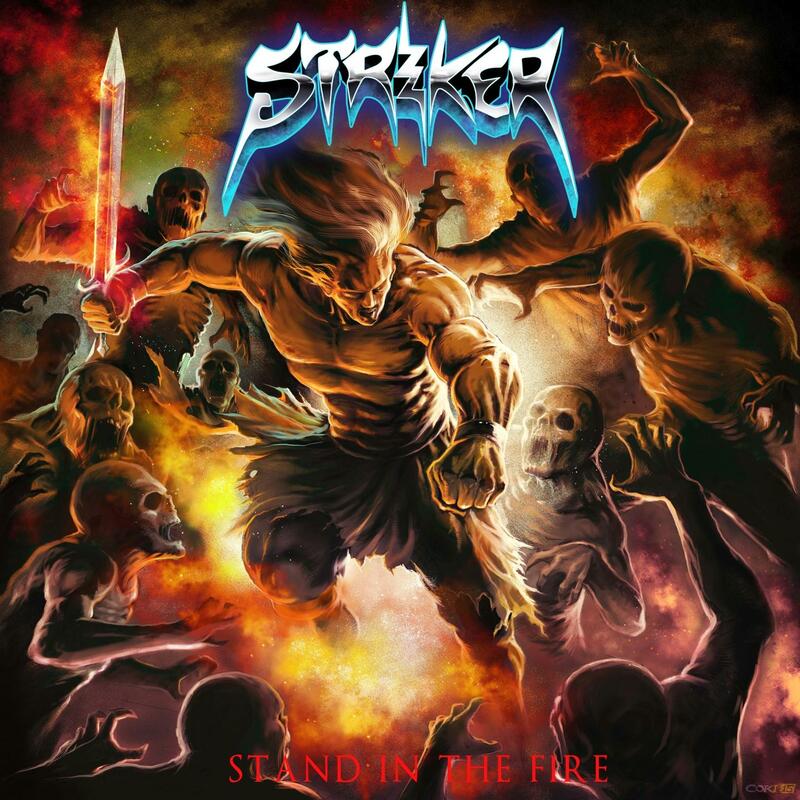 with the help of Randy Black and mixing genius Frederik Nordstrom (Bring Me The Horizon, In Flames, Opeth), “Stand In The Fire“ turned out to be STRIKER‘s most uncompromising record to date. The album is a furious blend of 80’s heavy metal, hair metal and even thrash metal accompanied by powerful vocals, catchy choruses and epic harmonies alongside impressive guitar works. Packed with colossal anthems such as ‘Out For Blood’, ‘Outlaw’ or ‘Too Late’, their latest single paying tribute to the glorious days of heavy metal, this beast is like the ultimate time machine headed for the 80's – only much better sounding! STRIKER has toured across dozens of countries as headliners as well as support for major metal acts. This February they are teaming up with Primal Fear and Brainstorm to conquer Europe.